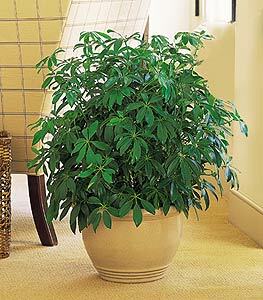 With its graceful, arching set of leaflets, this gorgeous plant is also known as an Umbrella Plant. Give this and even a rainy day will seem bright. One schefflera arboricola plant arrives in a decorative jardiniere.